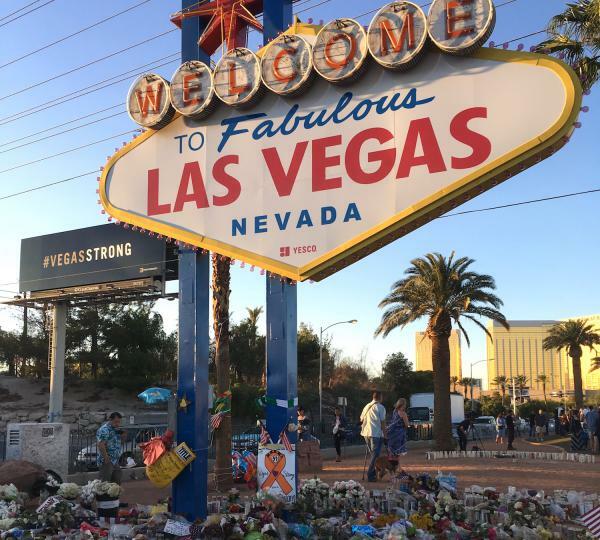 The Las Vegas Strip sign on Oct. 9, 2017 became an informal memorial after the shooting at a music festival the week prior that left 59 dead. Last year was the deadliest year on record for public mass shootings in American history. More than 100 people were killed in 30 incidents in the U.S. in 2017, according to the FBI. In the wake of these incidents, we often hear “no one could have seen this coming,” or “this person just snapped.” But what do we know about the perpetrators of mass shootings? “Mass shooter,” the term most often associated with perpetrators of incidents like the Sandy Hook Elementary shooting, is not defined by the FBI. In its report, the FBI looked at active shooters between the years 2000 and 2013, regardless of how many people (if any) were killed. The lessons apply to mass shootings and other shootings alike. Here are five common misconceptions about the perpetrators of active shootings and what the FBI’s research revealed. Mass shooters have a specific profile that can be easily spotted ahead of time. Marisa Randazzo, a former chief psychologist of the U.S. Secret Service and currently managing partner at SIGMA Threat Management, discussed this with the public radio show 1A. 62 percent of the shooters had a history of acting in an abusive, harassing, or oppressive way (e.g. excessive bullying, workplace intimidation); 16 percent had engaged in intimate partner violence, and 11 percent had engaged in stalking-related conduct. Only a quarter studied have been diagnosed with a mental illness. University of Alabama Criminologist Adam Lankford says this is a common misconception about mass shooters. According to the FBI report, only 25 percent of active shooters between 2000 and 2013 had ever been diagnosed with mental illness. And according to a 2016 study published by the American Psychiatric Association, mass shootings by people with serious mental illness represent less than 1 percent of all yearly gun-related homicides. It bears emphasizing: The vast majority of people with mental illness never commit violent crimes. Most take a week or more to plan the attack. The FBI researched 34 active shootings between 2000 and 2013 and found that in 77 percent of the cases, the subject spent a week or longer planning the attack. “In this context, ‘planning’ means the full range of considerations involved in carrying out a shooting attack” according to the FBI report, such as making the choice to “engage in violence” and selecting targets. The FBI researched 34 active shootings between 2000 and 2013, and found that in 77 percent of the cases, the subject spent a week or longer planning the attack. In it’s study, the FBI found that most shooters didn’t research target locations. Often, the shooters were already familiar with their intended target, such as their school or office. There are no warning signs that can anticipate when someone might become violent. There are behaviors that are a tip-off, including if those making threats have acquired firearms. Mass shootings are extremely rare. They make up less than 1 percent of all U.S. gun homicides. It is hard to predict which individuals will actually become violent. The FBI report notes that on average, each active shooter studied displayed four to five “concerning behaviors” over time that were observable to others around the shooter. These include recklessness, violent media usage, changes in hygiene and weight, impulsivity, firearm behavior, and physical aggression. In its research, the FBI found that in more than half the cases where “concerning behaviors” were displayed, the first behavior was reported over two years before the shooter carried out their attack. Sixty-three of the active shooters between 2000 and 2013 studied by the FBI displayed at least two concerning behaviors before carrying out their attack. The chart above shows the longest time between when one of these behaviors was noticed and an attack. Marisa Randazzo says mass shooters typically go beyond just threats. She suggests observing whether someone who is making threats is also acquiring firearms or tactical gear. Mass shooters get their guns illegally. Seventy-five percent of the active shooters studied by the FBI legally purchased or possessed the firearm used in the crime. According to the FBI report, 40 percent of the firearms used by shooters studied between 2000 and 2013 were purchased legally for the crime and another 35 percent were already in the shooter’s possession. Eleven states now have so-called “red flag” laws that allow law enforcement or family members to petition the court for a temporary gun violence restraining order against an individual they believe is dangerous. Editor’s note:This piece was adapted from a post published to Medium, July 5, 2018.